For generations the Triad has been renowned for its service members. More than 150,000 veterans live in the Triad, the largest concentration of veterans in the State. Throughout the history of the Triad, our residents have answered the call to duty in every conflict our nation was involved. This service to our communities and our country has not gone without sacrifice by the families that live here today. The memories of our family members that served in the Armed Forces bring a sound foundation to the history, education and pride of the Triad. These service members ensure our freedoms and protect us. Our duty is to remember these brave servants of our society. All visitors can be proud of the commitment our veterans made to sustain the liberty that our founders provided for us. It is a symbol of historical fact that our community has the highest respect and honor to our Veterans. 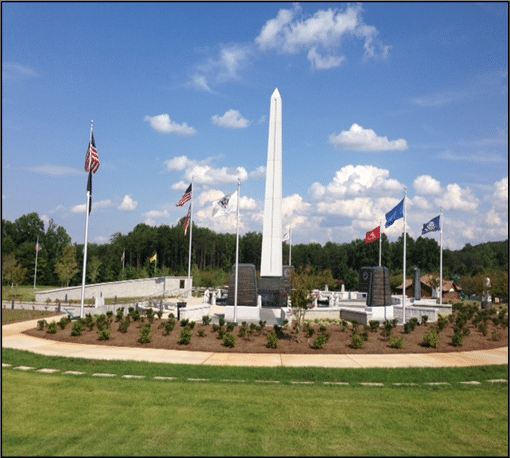 Visitors find The Carolina Field of Honor a sacred place for those we respect and honor. The memorial serves as a recreational retreat, or for ceremonies and events honoring those that serve. Braille Plaque for visually impaired visitors is located on the left side of the Main Entrance. 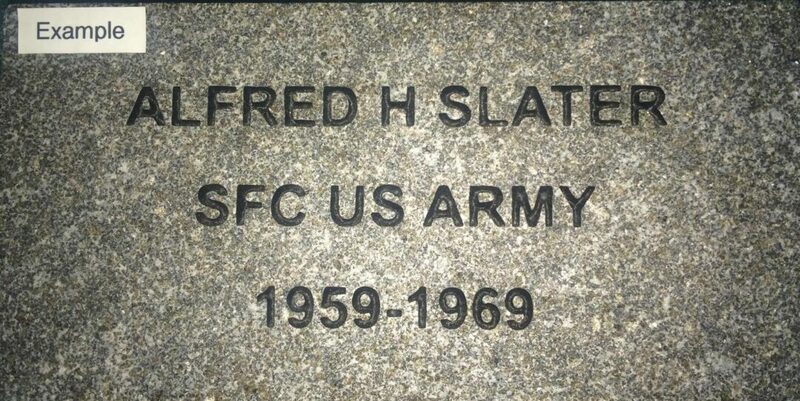 Consider purchasing a Remembrance Paver to recognize a holiday, birthday, anniversary or other event in the life of a veteran. Click here to learn more about purchasing a Remembrance Paver. . .
PAVER ORDERS RECEIVED THROUGH NOVEMBER 30, 2018 WILL BE SENT TO THE MANUFACTURER WITH INSTALLATION EXPECTED SOMETIME IN LATE APRIL 2019. PLEASE CONTACT US IF YOU HAVE ANY QUESTIONS.